The new fellowship hall, located behind the church. 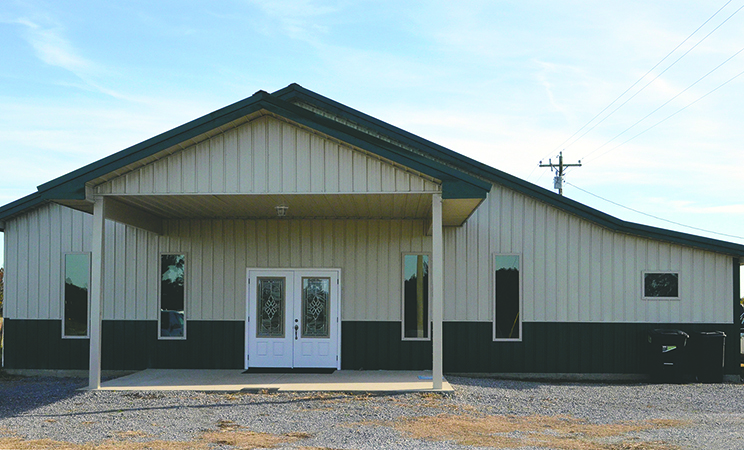 MORELAND - After years of planning, hard work and many obstacles overcome, New Home Baptist Church now has a brand new fellowship hall. A dedication was held Saturday, Nov. 3, with a hearty spread of delicious food. During the dedication, congregation and friends met in the church itself while the food was being prepared in the new fellowship hall. Several musicians took the stage area behind the pulpit and played bluegrass gospel music. During the breaks, Pastor Donny Gaither filled the audience in on the story of the fellowship hall.